MMO-Champion is a popular internet forum where fans of the online game World of Warcraft share tips, news, and previews. I didn't find anything on patch notes, hotfix news or forums, but I did see it on MMO-Champion that they'd fixed the whole AFK-Argus-Invasions thing apparently. According to datamined changes found by MMO-Champion, Arcane Torrent has undergone a transformation, and it’s not for the better. Now, instead of a silence, Arcane Torrent will dispel one beneficial buff from all enemies within 8 yards, while still restoring some resource. Where does MMO-Champion come from? 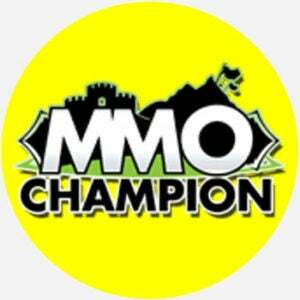 The name of the website MMO-Champion.com comes from the abbreviation MMO(RPG), which stands for massively multiplayer online (role-playing games) like World of Warcraft, and champion, a “winner” or “victor” in a contest. MMO-Champion started in March, 2007. It’s managed by Boubouille, the username of a French writer and World of Warcraft gamer who launched the site in 2007, along with a handful of forum moderators and special project developers working for Major League Gaming. As with most fan-forum websites, its mission is to provide a place for gamers to connect online about their favorite hobby—and for some, profession. MMO-Champion has a reputation for being on top of the latest buzz about online games such as World of Warcraft. It’s most common to find the website in the news when someone on the forums leaks a major feature, release date, or hack about a popular game. Early on, MMO-Champion gained a bit of a reputation for overwhelming other websites with traffic. It wasn’t uncommon for a gaming website to get MMO-Champ’t, crashed by a sudden high volume of gamers responding to a post about the website. 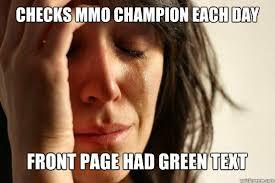 It just goes to show how many people follow the MMO-Champion forums. World of Warcraft itself has had over five-million subscribers across the globe during the 2010s. MMO-Champion forums have also expanded to cover politics and other non-gaming topics. Most of the threads on these off-topic forums tend to get a little … well, controversial. MMO-Champion Off-Topic: Fun for the whole family.